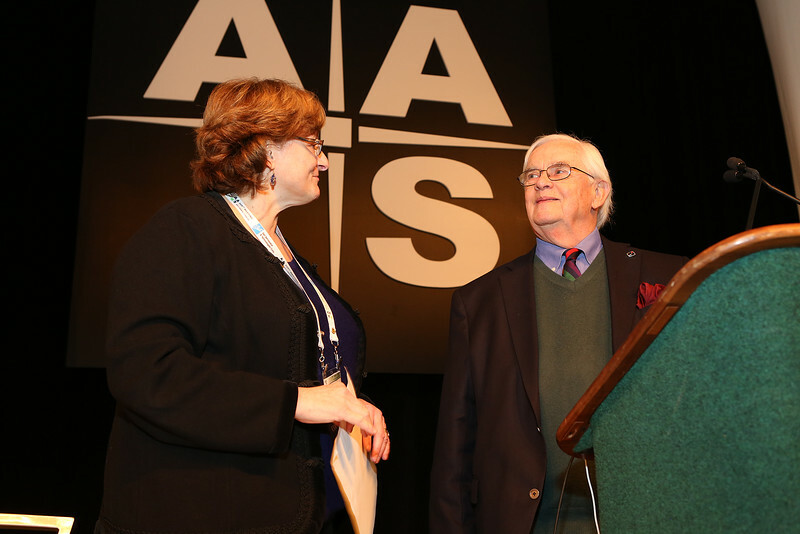 After being introduced by AAS President Meg Urry (Yale University), invited speaker John Lodsdon (Space Policy Institute, The George Washington University) presented his lecture "What Do We Expect of a Space Program?" After being introduced by AAS President Meg Urry (Yale University), invited speaker John Lodsdon (Space Policy Institute, The George Washington University) presented his lecture "What Do We Expect of a Space Program?" AAS photo © 2015 Joson Images.